U.N. Secretary General Antonio Guterres on Monday vowed to keep pressing global leaders to take greater action against human-caused climate change as temperatures rise and natural disasters wreak havoc around the world. "If we do not change course by 2020, we risk missing the point where we can avoid runaway climate change, with disastrous consequences for people and all the natural systems that sustain us," Guterres told an audience of diplomats, youth representatives and U.N. staff while announcing plans to convene a 2019 climate summit next September in New York. The Paris climate agreement, which went into effect in late 2016 as a successor to the Kyoto Protocol, aims to keep an increase in average world temperatures to "well below" 2 deg. C -- and ideally closer to 1.5 deg. C -- compared to pre-industrial levels so as to limit the occurrence of droughts, floods, melting glaciers, rising sea levels and other adverse effects of global warming. The agreement sets forth measures that countries have pledged to implement in 2020 and beyond to fight climate change. "Keeping our planet's warming to well below 2 degrees is essential for global prosperity, people's well-being and the security of nations," the Portuguese former prime minister explained, adding that the 2019 event will promote climate action by bringing it "to the top of the international agenda." 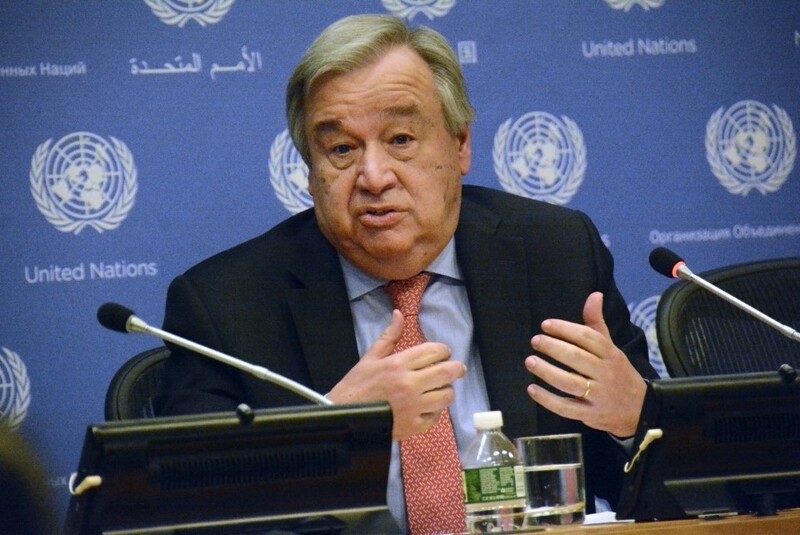 While recognizing that progress has been made, Guterres cited a lack of leadership, an inadequate sense of urgency and a failure to meet commitments in the process of tackling what he called the "great challenge of our time." "The time has come for our leaders to show they care about the people whose fate they hold in their hands," he said. "We need them to show they care about the future -- and even the present." The announcement comes after the World Meteorological Organization in May reported that the planet has reached the highest monthly average for carbon dioxide levels ever recorded, with a concentration level estimated to be the highest in 3 million years. Among the recent string of natural disasters in Kerala in India last month was the worst monsoon that killed 400 people and drove more than a million from their homes, he pointed out. Recently in Japan, Typhoon Jebi -- the strongest in 25 years-- took more than 10 lives.